Redelman Fabrics was established in 1946, and is still family owned and run. We supply imported furnishing fabrics and wall coverings to the Australian and New Zealand high-end interior design and contract markets. Isaac Redelman (grandfather of the current directors) migrated to Australia and established an upholstery business. Due to the shortage of locally sourced fabrics during and immediately following World War II, an opportunity arose for a reliable supply of quality upholstery products. Following the conclusion of WWII, Isaac’s son, Shya Redelman returned from military service and joined the company in the capacity of sales manager and fabric buyer. Gradually, fabric supply became the mainstay of the company as Redelmans specialised in high quality, up-market fine furnishing fabrics. Extensive travel to the finest mills throughout the world meant that a close knit relationship between the best sources of fabric worldwide and the Redelman family was established. The knowledge of design and weaving techniques obtained first hand from these leading mills means Redelmans are now leaders in innovative and creative fabrics. David and Geoffrey Redelman joined the company in the 1970s and brought a third generation with a new vision for the future. The longstanding relationship with some of the most important mills and weaving designers continue to this day enabling Redelmans to bring the finest and most unusual designs to their collection. Colour, sophistication and style together with quality and uniqueness has always contributed to the timeless eclectic characteristic of the collection. With over three thousand designs in stock and 30,000 designs available within 3 weeks it is one of the largest collections. Comprising cottons woven, printed and plain, natural fibres, silks, linens and velvets, embroideries, jacquards and tapestries… the range and variety of style is endless. We encourage you to visit our showrooms and take the time to experience the richness of our collection, and give yourself the opportunity of purchasing a quality fabric that is just “you”. 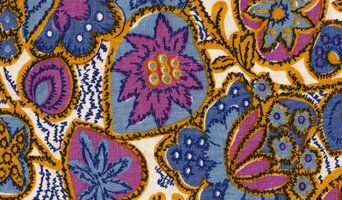 Digital Fabrics is a creative textiles loving print house. We print custom fabrics on demand using the latest fabric printing technologies. Our talanted local team ensures efficient production, a rapit turnaround and superb quality. Since our launch in 2012 we have printed thousands of orders for both Australian and international clients across a range of creative industries including interior design, marketing and events, TV and staging, fashion and swimwear. ADE Upholstery prides itself on a tradition of superior craftsmanship, timeless style and modern functionality. Restoration works, commercial jobs and bespoke pieces are designed and built for a lifetime of use and enjoyment. Established in 1990, ADE Upholstery has come a long way from humble beginnings. As a young man, Ari trained with old school, master craftsmen in their workshops. Here, he learnt how to restore antiques, build furniture and learnt how to have a precise attention to detail. This classical training led Ari to understand the principals of good design and quality furniture. Fuelled by a passion for trade, and a love of furniture – Ari started his own business. Today, from his showroom at 147 Glenayr Ave, Bondi Beach in Sydney Australia and his workshop at 6/57 Rhodes Street Hillsdale, Ari continues to do what he does best – quality upholstery, restoration works, custom jobs, commercial projects. On display in Bondi are an assortment of furniture pieces, fabric samples and invaluable interior advice. Perhaps what best defines ADE Upholstery is its ability to provide exquisitely crafted pieces in a traditional upholstery sense, alongside vogue and bespoke pieces that resonate with the culture of today. 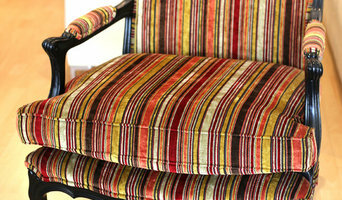 WE PROVIDE PROFESSIONAL REUPHOLSTERY SERVICES. - Lounge Furniture Designed and Custom Built - Extensive Range of Quality Fabrics and Leathers - All Work Quality Guaranteed Astrid Furniture is an Australian owned and operated company. We have been proudly upholstering quality lounge furniture in the Hawkesbury, Penrith, Blue Mountains and the Hills areas of New South Wales since 1980. Astrid Furniture combines the manufacture of customised lounge furniture with a full reupholstery and restoration service. All work is carried out by qualified tradespeople who take great pride in their work, and are passionate about their craft. Astrid Furniture has an enthusiastic and talented team of professional including upholsterers, cabinet makers, cutter machinists and polishers, all of whom share many years of experience. This high standard of workmanship and professional service had resulted in Astrid Furniture winning four Hawkesbury Business Awards and a prestigious Excellence in Trades and Services Award. Astrid Furniture is a registered member of the Furnishing Industry Association of Australia, ensuring that quality craftsmanship is backed up by high ethical standards, and all work is guaranteed. 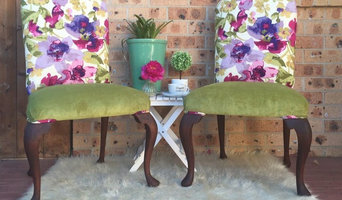 We are small family business with a passion for up-cycling items and designing our own chairs, footstools & cushions. We love fabrics, good design and details and are always looking to create something unique and to breathe new life into unwanted items to be loved once again. Design for places and spaces. Breathe new life into your furniture. Furniture – it is a necessity, and it can be quite expensive. Vee Jay's Interiors can give your tired old furniture a new lease of life. We can give your home a new look without the price tag with our reupholstery in Five Dock, as well restoring antique furniture, while still keeping its beautiful, original condition. Come in and see our friendly team today. New beginnings We perform reupholstery in Five Dock on: Couches Sofas Chairs Dining settings Pelmets and anything else you can furnish. See our friendly team today. Quality service At Vee Jay's Interiors, we only use the best, exceptional quality materials to reupholster your furniture, and our workmanship is outstanding. You may just need to repair a dining chair or completely refurbish your home, our professional team will ensure the job is done well and in keeping with your budget. Dreaming Coastal is a lifestyle brand created by two friends love of the ocean. We are a small boutique company focusing on quality unique furnishings and accents with a vintage and oceanic style. We design cushions, wall art, photography and prints. Our designer print fabric is designed in our studio some are handprinted and others are outsourced for printing with eco friendly water based printing. As designers we have over 20 years experience in all fields of design. We have a unique range of designer cushions with co-ordinating wall prints and we also specialise in custom cushions adding customers names, logos and photos. Custom graphic and textile design, photography, web and multimedia is also available. INTEC Upholstery is one of Sydney's most established upholstery firms, established in 1963 we have undertaken many domestic and commercial projects. Our clients have included, Parliament Houses, NSW and Canberra, all four major banks, local government, court houses and most of Sydney's leading hotels. Furniture manufacturer, new and custom made designs. 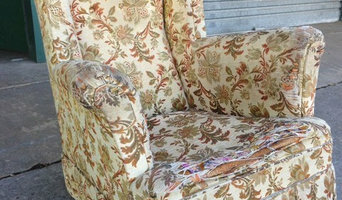 Re-upholstery and restoration of all furniture. We supply to hotels and clubs. We love making beautiful things. We have designed and handmade a collection of handwoven textiles for you and your home. All of our goods are hand woven by artisans in Rajasthan, India using traditional techniques and the finest materials and metallic threads. By purchasing from us you are not only supporting the communities that these goods are created in, you are helping preserve generations of skill and craft. For generations, Gala Upholstery has handcrafted custom upholstery for both domestic and commercial projects. As well as providing complete furniture recovering, Gala Upholstery are also experts in repolishing, custom made furniture, antique restoration, repairs and fabrics. Our friendly and approachable staff provide excellent workmanship and professional customer service. Visit our showroom at (Rear) 222 Taren Point Road, Caringbah between 9am and 3pm week days or 9am and 1pm on Saturday. For other times please call 9525 8020 to make an appointment.